Oceanfront with 75 Ft on the Ocean. 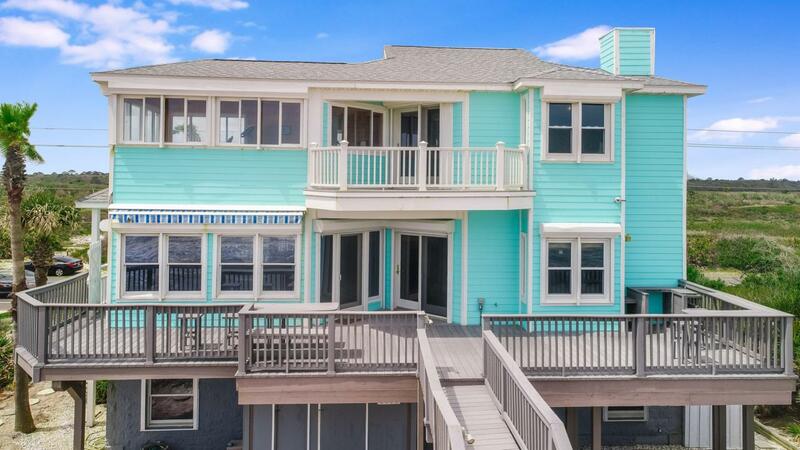 Move right in to your beach house. Everything has been done to start your immediate enjoyment. Explore living here through the 3D floor plan/VirtualTour/Drone photos. Pecky Cypress Walls and Heart of Pine Floors give this home a cozy beachy feel along with the coastal decor. (Photos of rooms with white are VIRTUAL not actual) Prepare your meals on the beautiful white quartz 10 ft counters in the kitchen which opens to your huge family room/fireplace. 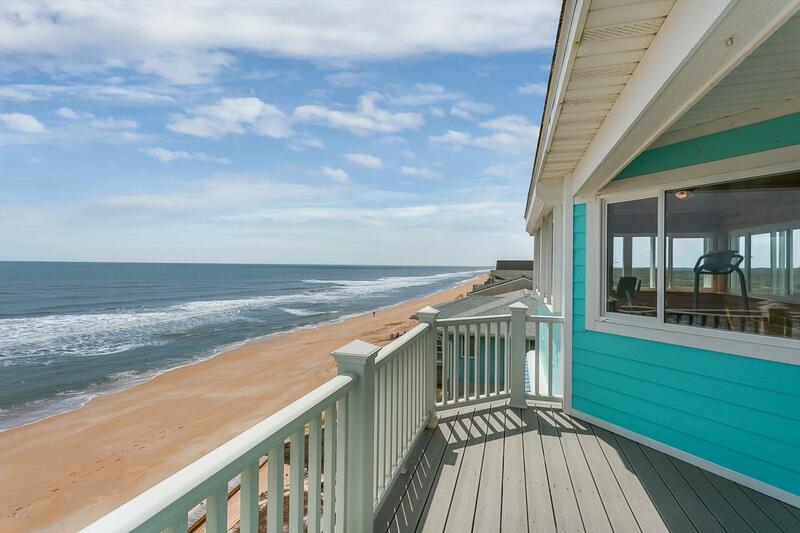 Escape upstairs to your spacious owners retreat with private oceanfront deck & bonus room. Send the rest of the family/friends/guests to bedrooms downstairs at entry level where you'll find Laundry Rm & 2 car garage.Watch sunrises and unobstructed sunsets, hunt for shells, onshore fish, surf, SUP, ocean kayack or just soak up the sun,' On the main floor, use the flex room to create a 4th bedroom (current use-non-conforming) game room, or office with doors that open to the front balcony facing the Guana State Park (GTMR). Keep the oceanfront room where you enter as a formal dining area or convert to another sitting room. For your creative side your room use ideas are boundless. Concrete Block first level, frame/hardi-board (concrete siding) 2nd/3rd level. Foundation is on pilings. 3 story masonry construction. 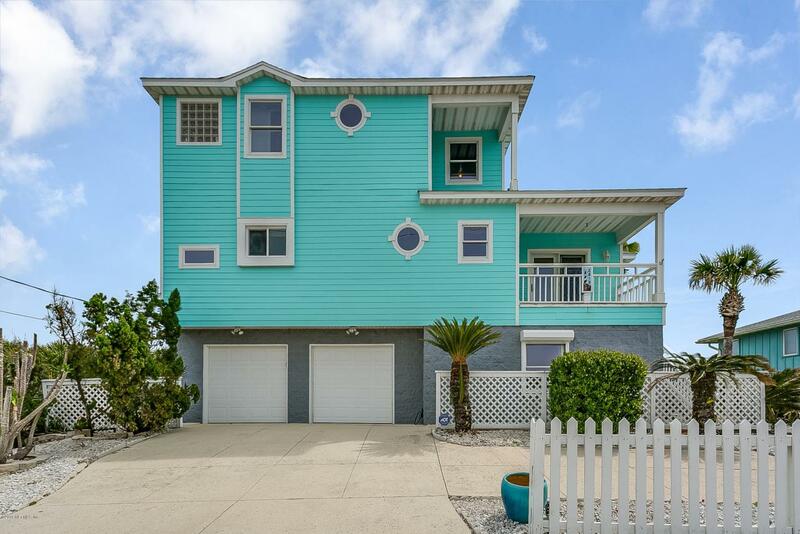 Roof replaced 2014,newer AC units, newer trex decking wraps around to the beach, newer garage doors,newer reinforced wood wall (2018), window replacements(2013&2015), hurricane rated shutters and doors. Outdoor covered shower and "beach stuff" storage. Fresh paint touch ups. 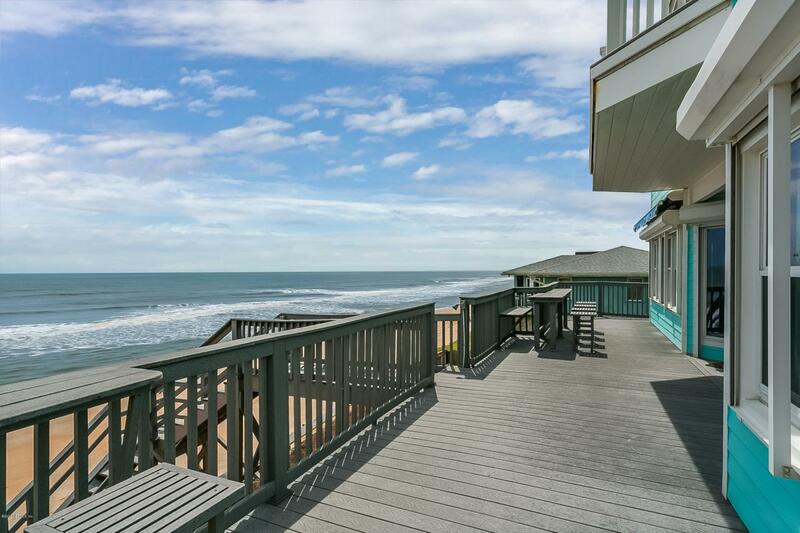 Looking for an oceanfront investment... this is it. Preferred Membership Initiation Fee pricing for the clubs of Gate Hospitality - Ponte Vedra Inn & Club, The Lodge & Club, Epping Forest or The River Club - is available to the purchaser(s) of this property*. (*certain restrictions apply.